This is a totally independent machine with cable controls and power slew. It is in exceptional condition and has been used very little since new. It has a 1.2 meter flail head. Orsi machines are manufactured in Italy and have a reputation for strength and ease of use. This machine is ready for work immediately. 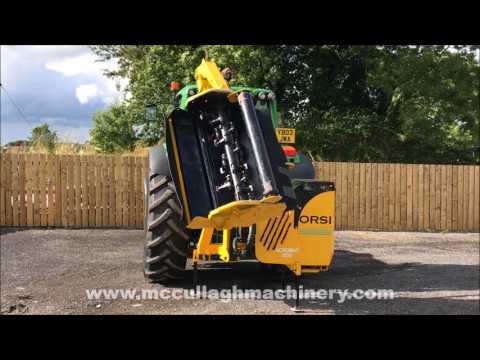 To make an enquiry about Used Orsi Acrobat 500 call us on ROI 048 6634 8213 | NI 028 6634 8213.